Niebla combeoides (syn. 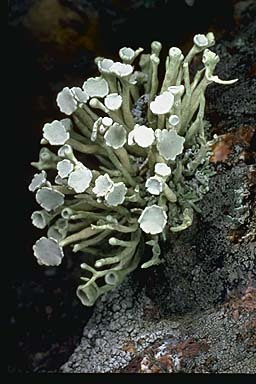 Vermilacinia combioides, "bouquet fog lichen") on rock along the California coast. Niebla species in North America grow in "fog deserts", areas along the west coast that have little summer rain but plentiful fog.